is a minor nebula in the Sagittarius arm of the galaxy a few thousand light-years away from the Eta Carinae nebula. This nebula even received six different classification numbers. 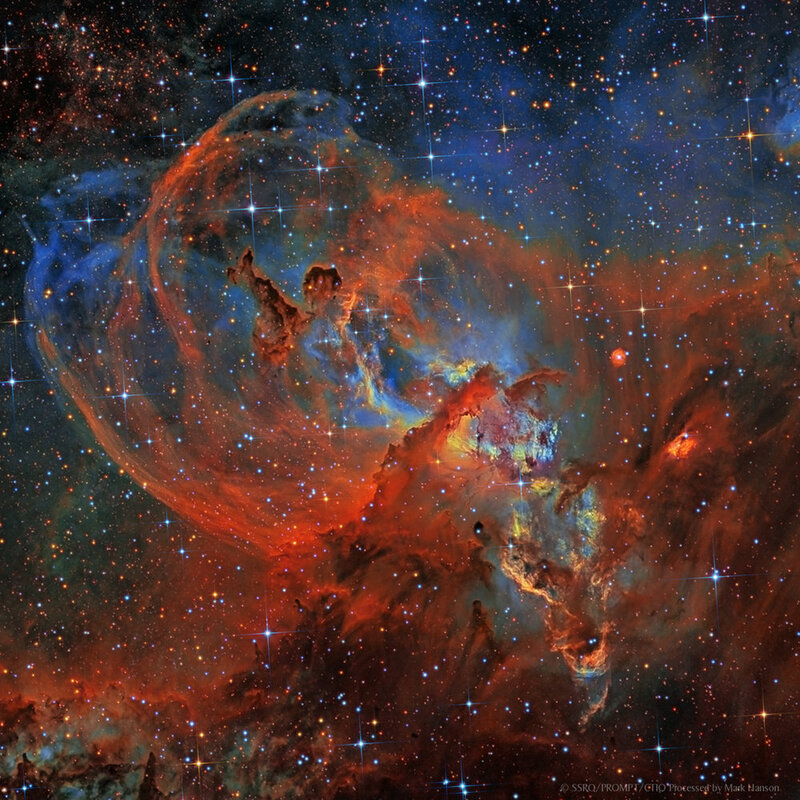 Currently, astronomers call the entire nebula NGC 3576. A popular nickname is "The Statue of Liberty Nebula" because of the distinctive shape in the middle of the nebula. The name was first suggested in 2009 by Dr. Steve Mazlin, a member of Star Shadows Remote Observatory (SSRO).